Did you know there is no need to replace your complete Lock? With our Chubb Lever Packs and Chubb Detainer Packs replacement service either purchased from our shop in North London or our WEB SHOP we can save you a heck of a lot of money, if you fetch your lock to our shop we will do it for you. North London Locksmiths Ltd. Always at your service to give the best customer satisfaction possible. WE WILL ALWAYS TRY AND GIVE THE BEST SERVICE POSSIBLE. Why spend fortunes on complete replacement locks? When a Chubb Lever Packs and Chubb Detainer Packs will do the job at a fraction of the price. LOST KEYS TO CHUBB LOCK? We can supply Lever Packs and Detainer Packs, with as many keys as required, our Locksmiths can passed them to as many lock formats as required. 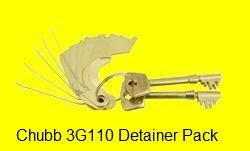 The Chubb Lever Packs for the older Chubb 3G114 type lock, will replace the Lock Packs for the 3G114 3G115 3K74 3K75 and 3G220 locks. Each pack comes with 2 keys, but, extra keys can be supplied when ordering the packs. These Lever packs can be passed with each other, so that one key will work on all new lock changes. We will send replacement instructions, when sending out packs. For a reliable Company to replace your Chubb Lever Packs, use North london Locksmiths Ltd. These packs can be passed onto one key. The Chubb Lever Packs 3G114e, will replace the following lock packs the 3G114E and 3K74E, when keys have been lost or stolen, comes with 3 new keys. They are easy to replace and will save many pounds in full replacement locks. As many keys as required, can be supplied with the packs, we will also send full changing instructions. The Chubb Detainer Packs 3G110, will replace the 3G110, 3K70, 3R35, 3J60, 3M50 and 3M51 Lever Packs. These packs come with 2 keys each and can be passed and mastered with each other. Extra keys can be ordered when ordering the Chubb Detainer Packs. These packs are easy to replace and can save many, many pounds on replacement locks. Our first class Locksmiths and Carpenters offer a full fitting service for locks and Lock Changes, as well as openings. WE SELL LEVER PACKS AT DISCOUNTED PRICES THROUGH OUR KEYS LOCKS PADLOCKS WEB SHOP. IF YOU CANNOT FIND THE LOCK YOU NEED, TRY US AND WE WILL TRY AND FIND IT FOR YOU, PLEASE FILL IN THE FORM BELOW AND SUBMIT TO OUR OFFICE. IF YOU WOULD LIKE AN ESTIMATE ON A LOCK FITTING OR ON ANY LOCK OR KEYS PLEASE TELEPHONE 0208 800 6041, WHERE A MEMBER OF OUR LOCKSMITH TEAM WILL BE HAPPY TO HELP YOU.